The Orpheum Theatre opened on October 31, 1921, with 900 seats. It’s changed names and changed hands over the years. But its rich history remains intact, even after recent renovations and a grand reopening in 2014. Rumor has it that a projectionist died long ago and now haunts the theater! 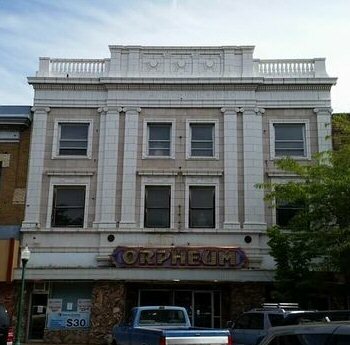 We’ll talk to our Special Guests, Colleen O’Hara-Epperly of Pocatello Paranormal Research and Eric Aldridge of Magic Valley Paranormal about their recent investigation of the theater. What did they find? Were they able to capture any EVPs? Images? Or encounters with this long-term ghostly resident? You don’t want to miss this episode! Tune in and join us in the chat room to ask your own questions and provide your own insights! ← Happy Friday the 13th, February 2015!